Get fit! Lose weight! Ride better! 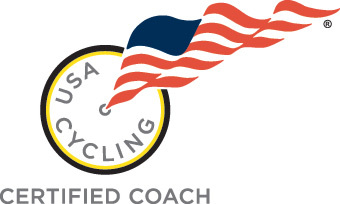 As a USA Cycling certified coach with 11 years of indoor spin class instruction Coach Morgan has the expertise and insight to make this winter your best winter! 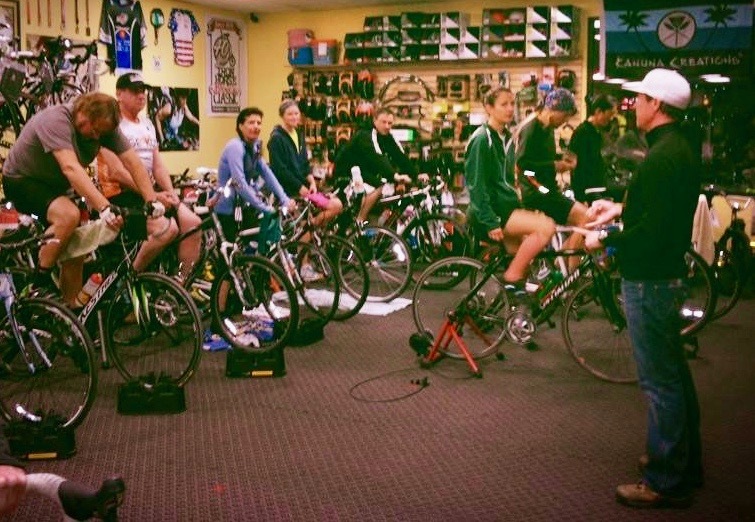 "I've attended several years of indoor bike training classes with Coach Morgan. His insight into conditioning, and the variety and testing made the classes not only challenging but also insightful towards my goals as a cyclist. The classes were a great way to improve fitness through a long cold winter. "Training inside didn't sound fun at all to me. But, I really didn't want to start over in the spring. I can say, after doing Morgan's camp for 3 winters, not only did my fitness get better every winter I actually looked forward to class each week! This training is about being a better, more fit, rider. You ride your bike and use your own trainer. We'll store your trainer for you and keep it simple. So chuck your bike in the car and come join us - I promise you you'll love it! When: Tuesdays and Thursday evenings 6:30 p.m. - 7:30 p.m.
What is the class structure and how does this work? People say. "Isn't this a hassle, using my bike? My answer is "That's what you do when you go for any ride. Right?" The advantage is being on your saddle, your positioning and your pedals and shoes. We'll store your trainer for you so it's as simple as going for a ride. This is a COED class. For riders of any level. Because we are training indoors on trainers nobody gets left behind. Classes begin at 6 p.m. each Tuesday and Thursday evenings. The studio is available at 6:00 - come early and be set up and ready to go at 6. The course structure is a progressive 16 session build up to significantly increase your fitness. The 1st session is a familiarization and set up session. The 2nd session is a base line test session. Each session includes tips, drills and question and answer opportunity for all. The most important thing you can bring to class is a smile and great attitude. This class is hard work but it is a lot of fun. Unlike a "spin studio" AYS Spin is about increasing your fitness and improving your riding skills. So you ride YOUR bike, and not some generic imitation. Additional equipment to maximize fitness? Your own bike and your own trainer. The advantage of this set up is you get to train on your own bike. And, a trainer is a piece of equipment every rider should own. Whether you are warming up for a race or training at home. Lots of options and I'm happy talk through them with you. Data Matters. Therefore to get the most out of your training and your riding both a power meter and heart rate monitor are very helpful. Within this class we will test and then define for you very specific 'training zones' for either power, heart rate or ideally both. Here is a good article about bike computers Personally I like the Garmin 520. And here is a good one for power meters.I use and really like the Garmin pedal mentioned and love that is the most affordable. For heart rate straps I've been using, recommending to my athletes and getting great feedback on this device I love it because you wear it around your arm, not your chest. Beyond improved fitness and keeping off the holiday pounds, why should I enroll in this class? Having led a winter spin class for the past 11 years my biggest take aways are. Everyone who sticks with my spin class is really please about how much his or her fitness improves. But what everyone talks about it how great the 'group' is. Making new rider friends, learning from Coach Morgan and the other riders, going for a beer after class and celebrating the hard work all have a lasting impact. Additionally, if you are new to training and/or riding this is an ideal way to learn about cadence, standing, shifting, positioning and efficiency. And it is much safer than being on the road. If you are a serious rider, who really wants to take your fitness to a new level doing both 8 week courses will absolutely get you well ahead of where you would ever be on an outdoor-only winter program. Lastly, as a lifelong athlete and a coach for many years I know the holidays are a challenge for many of us, me included. Big meals, short days, and late nights all make it hard to keep the intake low and the output high. This is why I started spin. The benefits and accountability of a training group are real and effective! Want to save money and get super fit? Coached athletes save 50% on Spin. Contact me to learn more. 10k-Marathon. Ultra to Multi-day. Trail or road. I have the skills to get you there! 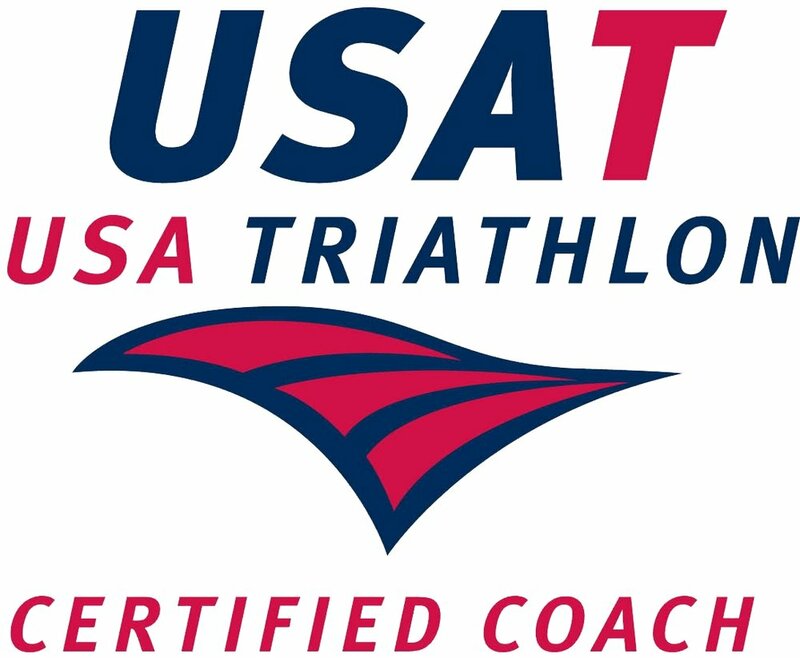 USA Cycling Level 2 Coach-Road, MTB or Cross I'll get you there! Sprint, Olympic, Ironman or Xterra. I'll get you there! Join AYS to be prepared to START and to FINISH!